One of the most affluent of all the countries in Africa today, Nigeria comes from humble origins. Discovered by the Portuguese and eventually colonised by the British, it achieved independence in 1960, before its big oil find in the 1970s. History in Nigeria is best seen in its ancient towns and archaeological sites, rather than dwelling on its post colonial ups and downs. People were here, settled in this region from as early as 9000 BC, herders mainly, although it was not until around 2000 BC that any sizeable settlements of note were present. 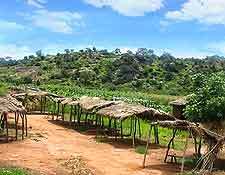 The Nok civilisation settled the Jos Plateau later on. Tourists can see rock paintings, stone sculptures and burial sites today at the Nok village of Kaduna (central Nigeria) from this early period. The Ife (from 700 AD) and the Oyo (from 1400 AD) were also significant in the history of Nigeria, with these ancient cities appearing in the west of the present-day country. The Benin Kingdom was perhaps the most important of these earlier folks in Nigeria, however, extending their influence for a good four centuries, from the early part of the 1400s onwards. At Benin City, people come to see the bronze art, the 'royal' Oba Palace, and the 13th-century Benin Moat (Iya). The state capital of Kano also has a place in the country's history, featuring as it does a palace from the 15th century (the Emir's Palace), along with the Great Mosque and the State History Museum. The Igbo people also appeared early, from the south-east, and remain one of the main ethnic groups based here today. 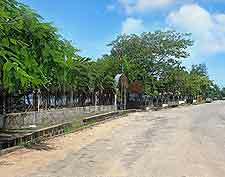 Modern Nigeria began when the Portuguese landed in Lagos and started trading, naming the port after Lagos in southern Portugal. It soon became the capital and retains many of its most historic attractions. These include the 18th-century Oba's Palace, the mid-19th-century Taiwo Olowo's Monument, and the Brazilian-designed late 19th-century Shitta Mosque. 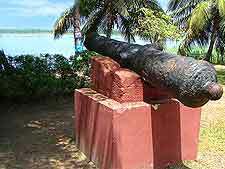 The slave trade was quick to be established, while the British came on the scene after the Napoleonic Wars. They set up lines of trade, opening up the interior, although there was opposition and frequent revolts against this foreign rule. The Royal Niger Company - chartered by the British in the 1880s, had great influence over West Africa in general, although the government took control of the territory by the turn of the 20th century and the country became a British protectorate. 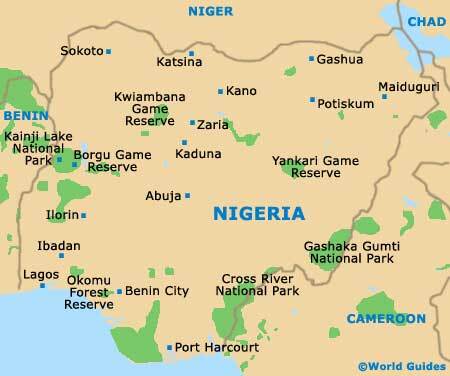 Both North and South Nigeria were merged in 1914 and named 'Nigeria' - from the River 'Niger Area', formulated by the then Governor-General's wife. Kaduna was also established at this time by the British, with a number of its most historic buildings still standing. Post WWII, growing Nigerian (and Ghanaian) nationalism had a knock-on effect across West Africa for independence by those nations incorporated under European masters. The British steered the country towards self-government and, on 1st October, 1960, it finally garnered its independence. The subsequent meld of ethnicities and division of others through new boundaries saw little in the way of Nigerian identity, and many military coups followed. The Northern Coup was a disaster for the Igbo, who hankered for autonomy, while the Eastern Region became the Republic of Biafra in the year of 1967. The Nigerian Civil War (1967 to 1970) started and led to in excess of three million deaths. The 1970s saw the discovery of oil in the Niger Delta and Nigeria was quick to join the Organization of Petroleum Exporting Countries, although graft and corruption saw much wealth squandered. The 1980s and the following decade saw on-again, off-again democracy, although there were further military coups, including the one involving generals Muhammadu Buhari and Sani Abacha, in 1983 and 1993 respectively. World outrage to Abacha's ordering of the execution of political 'poet' Ken Saro Wiwa would force him to exit the political stage by the end of the decade, leading to civilian rule. 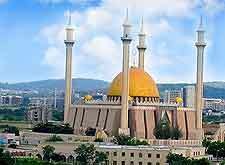 Abuja replaced Lagos as the capital as recently as the end of 1991, being a modern and somewhat staid city, although tourists will enjoy a visit to the city's Central Mosque and the Aso Rock. Democracy came once again for Nigeria history in 1999, and although corruption remains, things have certainly improved. 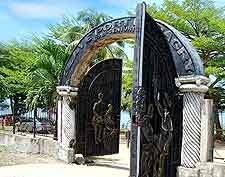 Tourism is a big earner for Nigeria nowadays, with many coming for the beaches and Lagos Island in particular. Unfortunately, tensions between the Christian south and the Muslim north continue to simmer with some rather grisly acts from both sides being conducted as late as 2011. Failure by successive governments to pass on the oil wealth to a generally poor population continues to cause problems, leaving the country in a poor light internationally. Today, the country boasts Africa's largest population, by far.